Amber suddenly realises that she’s stuck in a coma she can’t wake up from. It doesn’t matter how hard she tries to remember how she got there or how much she tries to shout for help – nothing works. She can vaguely hear the nurse’s voices in the hospital along with her husband Paul and sister Claire but will she like what she hears? Most importantly, will she ever wake up? What intrigued me the most when I was first introduced to Sometimes I Lie was the fact that the storyline was one I had never come across before. As someone who’s always on the lookout for new reads the fact that I was able to get inside Amber’s mind and excess her thoughts while in her coma was definitely a unique selling point for me and I knew I had to read it! I really liked the way that Alice mixed this up and managed to keep me guessing after every page! I could tell that Alice thought this through a lot because I never saw any of the plot twists coming; they were so cleverly set out and although some questions were answered it still left me wanting to know more. I was completely hooked with some of the most sinister parts making me not want to put the book down at all! Personally I didn’t find Amber a likeable character in the slightest! Yes she lies a lot but she’s also very self-centred, vindictive, paranoid and just plain annoying. There are of course times throughout the book where I felt sorry for her but that didn’t happen very often. All of the characters including Amber’s husband Paul, sister Claire and even her boss were all troubled in their own way; none of them were flawless but that’s what made them interesting! Let’s just say that Amber wasn’t the only one coming out with surprises. I will be honest and say that I wasn’t convinced with all the aspects in the story. For example, when reading Amber’s diary from when she was little I didn’t believe that it was written by a 10 year old. She sounded too mature to be a child and it made it hard to picture her as that age. With that being said this didn’t ruin it for me and I was still gripped by the story! Right from start Sometimes I Lie grabbed my attention and gave me a smart yet complex read I wasn’t expecting! It was much better going in knowing nothing about it as this made it that more addictive and added the suspense that every thriller-lover bookworm is wanting from a book. If you love reading psychological thrillers with plenty of twists and an unreliable narrator that messes with your head then Sometimes I Lie is definitely the book for you! As this is your debut book, what made you want to write a psychological thriller? 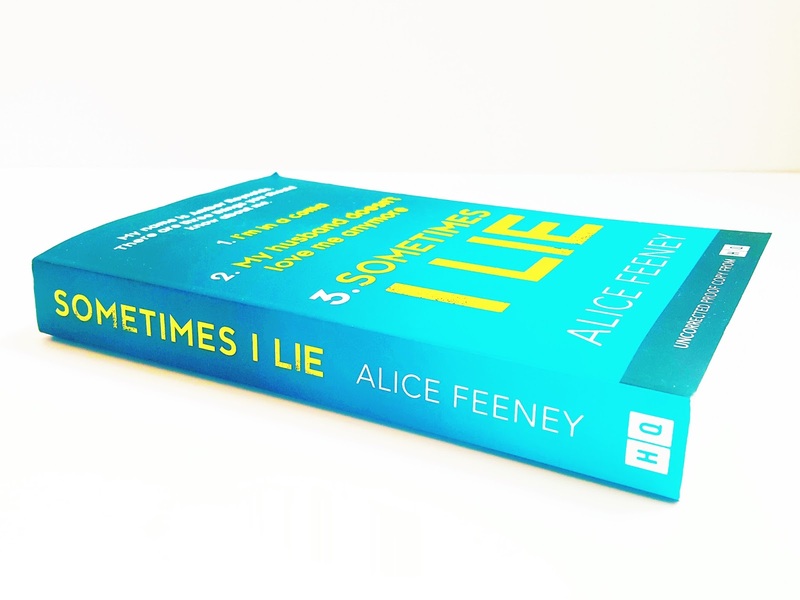 Someone very wise once told me that you should only ever write something that you would want to read yourself, and that’s what I’ve tried to do with Sometimes I Lie. I’m really rather fond of a good twist as a reader, so as a writer that was something that I was really hoping to achieve. Everything I write does tend to be quite dark, but I promise I’m a happy person in real life! The world we live in can be a very dark place indeed at times, and so I think it’s not a bad thing if some fiction reflects that. Is there a particular book you read that helped or inspired you to write your own? I think all of the books you read help to make you a better writer – even the ones that you don’t enjoy as much, because it forces you to ask yourself why. I read a lot of books in a lot of different genres and I think that’s essential. You can’t be a writer if you are not a reader. There are two books that I would highly recommend for people who want to write: On Writing by Stephen King (this is a fantastic read for any aspiring author!) The second book is Aristotle’s Poetics – I find the very idea that the fundamental lessons in story telling have been the same for hundreds of years absolutely fascinating. Which phrase in Sometimes I Lie are you most proud of? It’s obvious from page one that Amber tells lies. What was it like creating an unreliable narrator whilst keeping the reader so engaged in the story? I love unreliable narrators! I’m really rather fond of Amber, but she doesn’t have the tightest of grips on reality and I think that’s what makes her so interesting. Amber isn’t just unreliable for the readers, she’s unreliable for herself. Sometimes I Lie is a story about the lies we routinely tell each other, but for me, it’s more about the lies we tell ourselves. I think we are probably all guilty of that from time to time, and I think those lies can actually be far more dangerous. People like Amber use them almost as a coping mechanism when they need to, because sometimes the truth of our lives, who we are and what we’ve become is unpalatable. The story navigates between the past as well as the present, including a series of childhood diaries. I think that memories too can often be lies. We all remember certain events, days, moments in a slightly different way and your memory of an event could be quite different from mine, but we would both believe our own version to be the truth. I found that really interesting to play around with too. Writing this book was so much fun, but I am definitely a planner. I think about a story for a really long time before I’ll commit to writing it – my stories often spend months simmering away in the background before I begin. 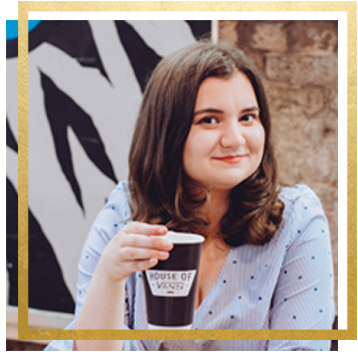 For me, starting without a plan would be like setting off on a long walk with the dog to somewhere we have never been before without a map – I’d be worried the whole time about getting lost! 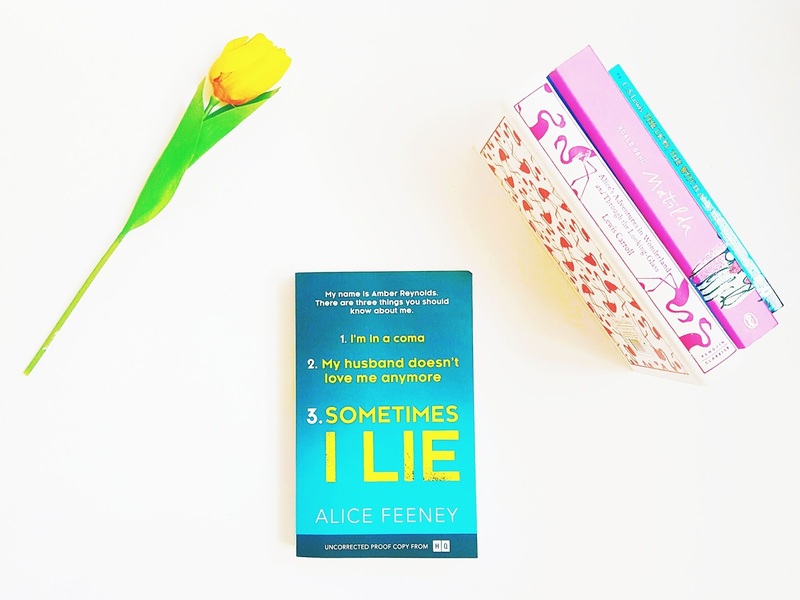 How do you hope readers will feel while reading Sometimes I Lie? A big thank you to HarperCollins for sending me this ARC in exchange for a review and to Alice for agreeing to answer some of my burning questions. All opinions are 100% my own as always. I really hate it when you can't connect with the character or don't find them likeable! Although I guess it could be classed as great story telling on the authors behalf! I understand what you mean, in most cases I love it when I'm able to either relate to them or at least like them but in this case I think it was better done this way. I'm not sure any of the characters were meant to be likeable. As far as I know it was not Amber who wrote the diary but Claire. And the friend Taylor was actually Amber. It was Claire’s diary. I just assumed it was Amber’s diary too until right near the end, as I guess we were supposed to. I really had to realign all my understanding of what was going on after realizing that, I even had to go back and read a few of the diary entries again after finishing the book to put it all in perspective. It took me about ten minutes of going “Okay, that’s Claire, Claire is the one with the bad parents. This one is Amber/Taylor, the main character, the one with the good parents,” before I could get the two of them untangled in my mind. I didn’t entirely like Amber (or any of the other characters) either, but I loved her insights into other people, relationships and life. To me she read less like she was self-centered and more like like she was slightly autistic, which I can relate to. It also made it okay for her to be so smart about some things and to be totally blind to others.